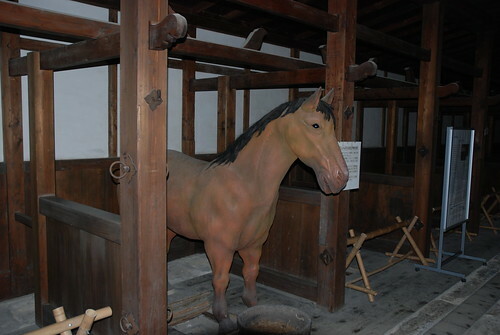 This was an L-shaped plan stable for keeping 21 horses of the lord constantly. 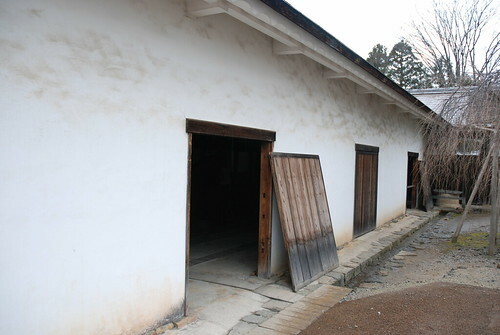 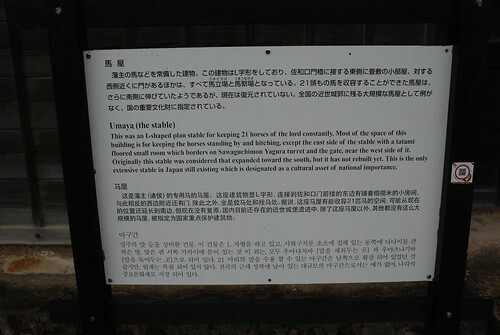 Most of the space of this building is for keeping the horses standing by and hitching, except the east side of the stable with a tatami floored small room which borders on Sawaguchimon Yagura turret and the gate, near the west side of it. 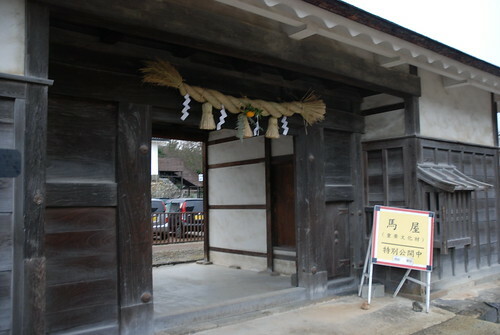 Originally this stable was considered that expanded toward the south, but it has not rebuilt yet. 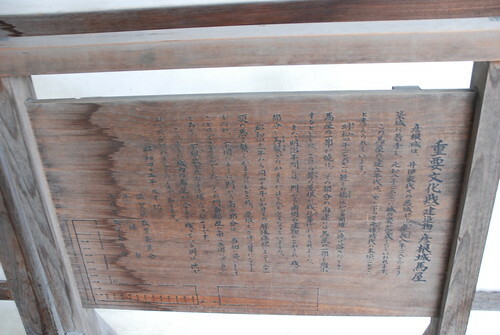 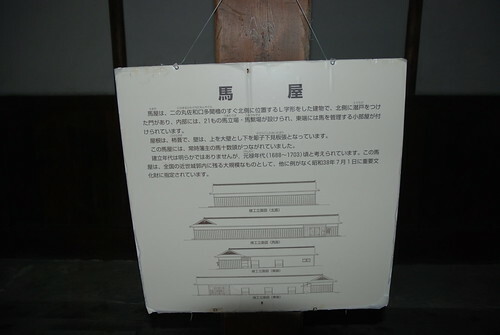 This is the only extensive stable in Japan still existing which is designated as a cultural asset of national importance.